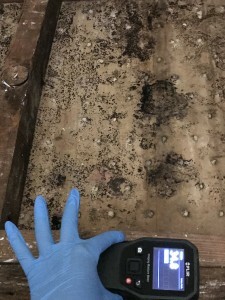 Here we try to show the importance of mold inspection in Los Angeles. Molds are common and important allergens. About 5 % of individuals are predicted to have some allergic airway symptoms from molds over their life-time. Exposure to mold in indoor environments can cause health effects, such as allergy, asthma, hypersensitivity pneumonia, mucous membrane irritation, different toxic effects. We know immunocompromised individuals and elderlies are more susceptible to mold compare to healthy individuals. Based on a recently published scientific study, inspector-observed moisture damage with or without visible mold in the living area (including bedrooms, living rooms, and main hallways connecting these rooms), especially in the children’s bedrooms, were associated with respiratory and asthmatic symptoms during the first 18 months of life. This study proved water damage with or without visible mold in the home in infancy is associated with the development of new physician-diagnosed asthma and with respiratory tract symptoms up to the age of 6 years. In 2009, 9.9% of U.S. homes had water damage from exterior leakage, while 8.1% had water damage from interior leakage based on data from the American Housing Survey of the U.S. Census. However, the survey did not cover dampness or mold. The largest study (Spengler, 1994) reports prevalence of dampness and mold in 50% of the homes. Los Angeles, commonly known as L.A. with over 4 million population has a high number of water damaged buildings and susceptible population. So mold inspection in Los Angeles should be considered as an important type of home inspection. We claim that we are one of the best Los Angeles mold inspection companies with exceptional knowledge and experience in mold testing and mold lab report Interpretation.